tarted from a ball peen about 16 oz, USA stamped. Forgot that my phone was plugged in, but I got a few pics later in the process. 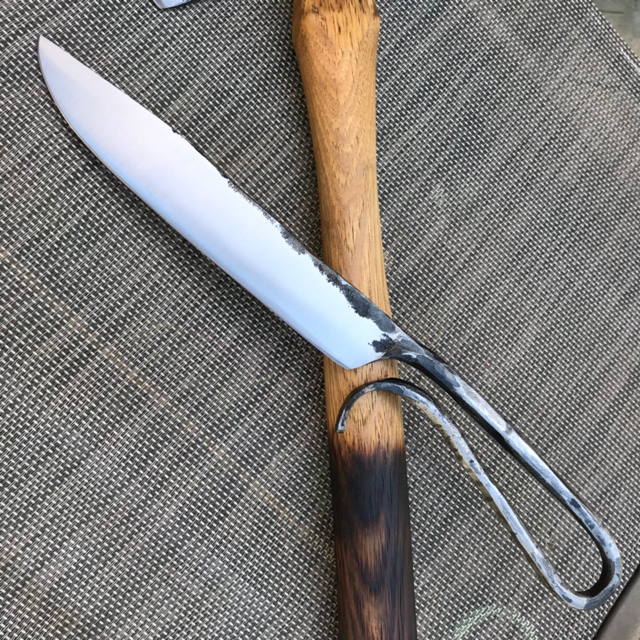 Here it is after some of the Blade was beginning to be forged out, right before I started drifting the eye. 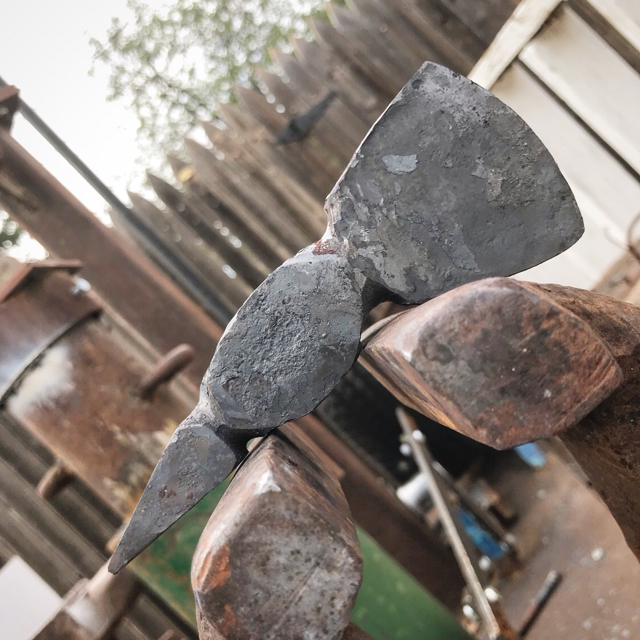 Forged to shape all but the spike end. Time for a little profile cleanup on the grinder. 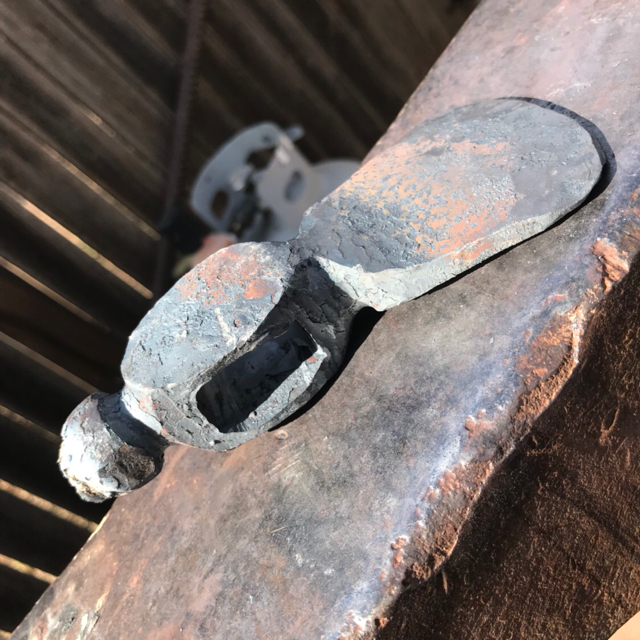 Drifted the eye out larger to fit a regular hammer handle. Got it close to finished. After this I normalized in the oven and then did a bit of finish grinding. 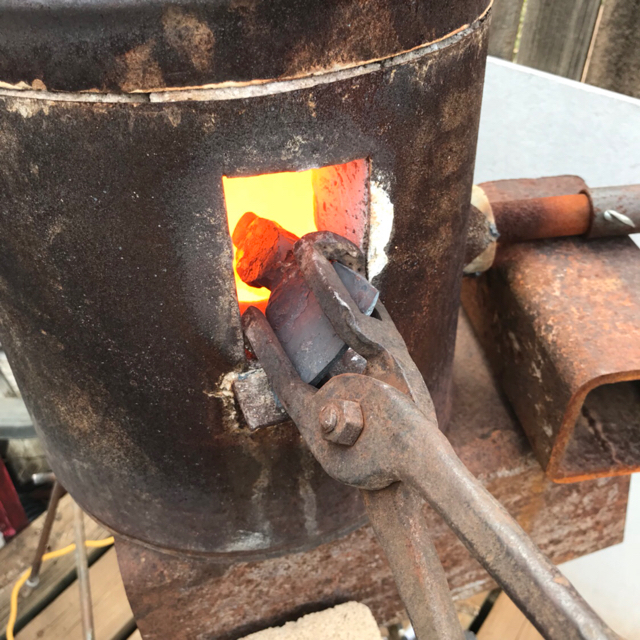 May heat treat tomorrow. Hey Jason! Didn't know you where on here! Looks great! 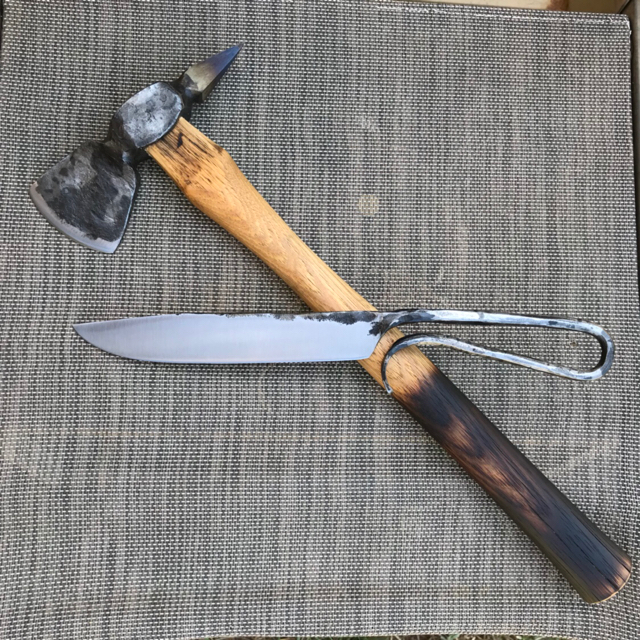 Finished the hawk and a blacksmith knife today. That is way cool. I really like the look. Nice, I really like the spike shape. 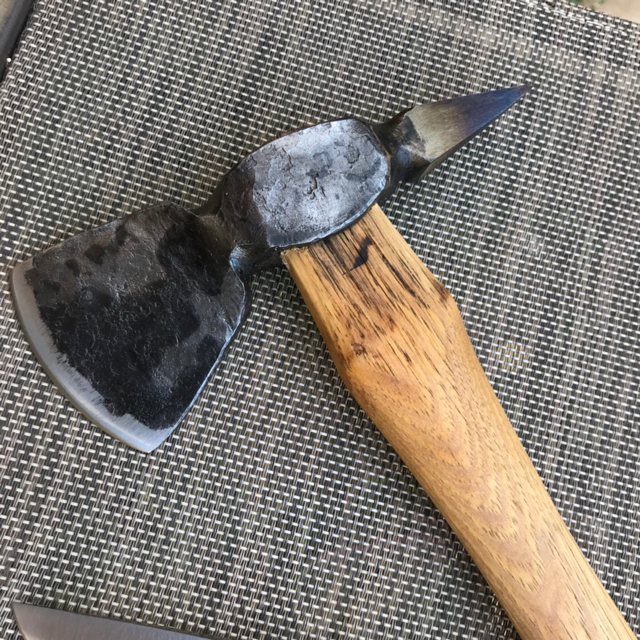 Friend of mine made a replica Tomahawk/Pipe for a friend of his out of a ballpien. Very cool! Jason had to jump off a minute ago, cable guy came!! 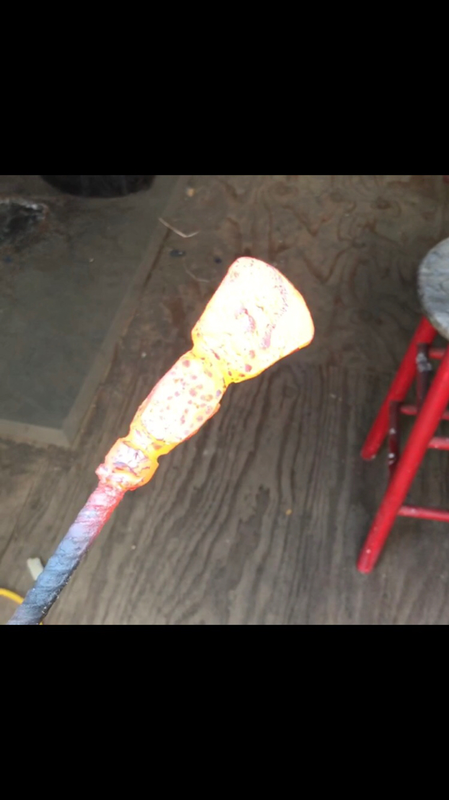 Anyway this link I am going to give is to a guy that made hawks, most of his spike hawks were forged from ball peen hammer. Sadly he passed way to young but here is link to his website and some pics of his hawks! His work is most inspiring! Wow, those Willis hawks sure are nice. I've got 10 more ball peen heads at least, maybe 15. It'll be a bit before I get to them, but I definitely have more planned in the future. 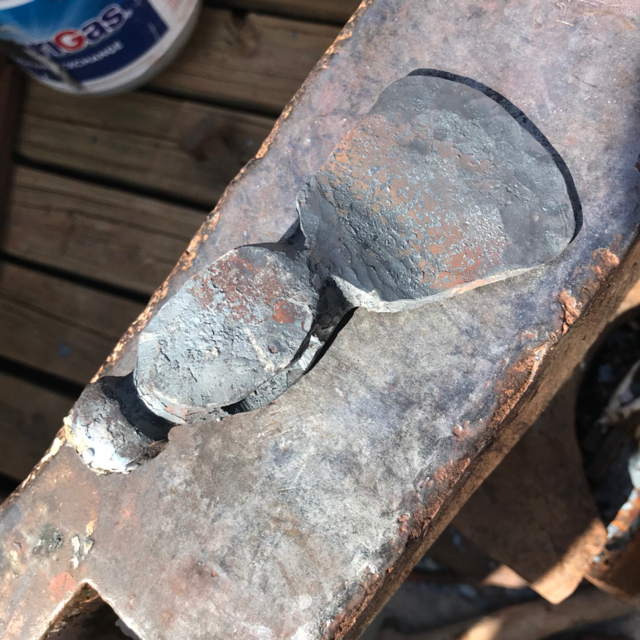 Jason this is one the ones Stuart Willis forged from a ball peen hammer. I spoke to him several times and again not long before he passed. He used the 28oz hammers and seemed quite subdued about the fact I was interested in his work. I don't think he realized I thought I was seeing a rock star at work!! He was open to all questions (and I had many) which he always answered fully! His work is what always inspired me when it comes to hawks! I was a member of another forum (traditional muzzleloader forum) that Sturat was a member of and was shocked when I learned he had passed! Great looking work... I would like to see the head on a different handle or lowered on the one you have .